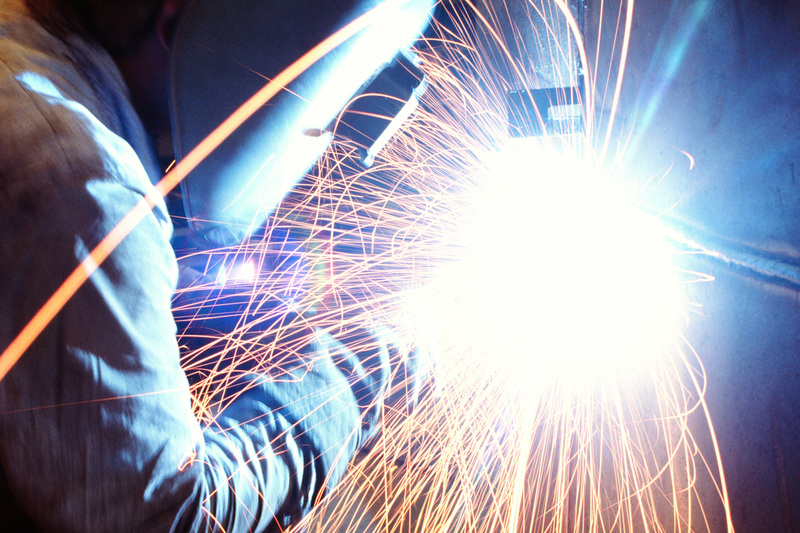 Whether you are a potential client, who has questions about metal fabrication, welding services, or other related skills, or someone who is considering entering the field as a professional, here are some of the more common terms you may come across. This is the process of forming metal components with a punch machine. This device has mounted the slide or in a die set for alignment, but only when inside the inverted die. Shearing, also referred to as die cutting, is a process for cutting sheet metal to size from a larger stock. Shearing is a cutting force applied perpendicular to material, causing the it to yield and break. Shearing is a process for cutting sheet metal to size out of a larger stock, such as roll stock. Shears are used as the preliminary step in preparing stock for stamping processes, or smaller blanks for CNC presses. Blanking is a shearing process where a punch and die are used to modify a piece of metal or some other material into a predetermined shape. It is used to cut a larger sheet into smaller pieces that are the next operation, like drawing and forming. A press brake is utilized in a very typical metal fabricating machine process, referred to as press braking. This machine tool is used for bending sheet and plate material, but most commonly sheet metal. The piece that is being worked on is clamped between a matching punch and die, forming predetermined bends. 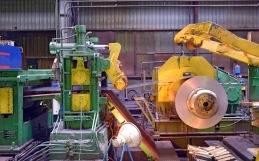 This metal forming process creates raised or sunken designs in sheet or strip metal. In theory, there should not be any change in metal thickness. The material is passed between rolls with the desired pattern. 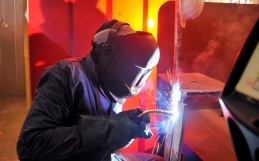 Often referred to as wire-feed welding or a semi-automatic welding process, metal inert gas welding arc welding process that uses heat generated by a DC electric arc to fuse the metal in the joint area. Wire is fed continuously from a spool during welding. Gas Tungsten Arc Welding (GTAW), or tungsten inert gas (TIG), is a welding process where an arc is formed between a non-consumable tungsten electrode and the metal being welded. The gas is fed through the torch to shield the electrode and molten weld pool. TIG is often used in high quality, high precision, welding applications. 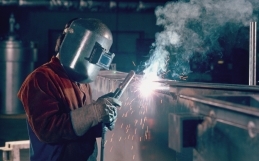 It’s also a somewhat complicated welding method, since coordination is required by the welder. 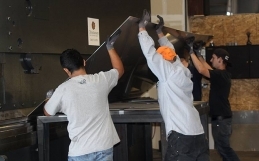 Have metal fabrication questions? Contact our team at CE Metal, today!